Gavin Baird is one of our Senior Property Managers in Dundee. He provides Common Management Services to clients in the North East of Scotland and the Highlands. 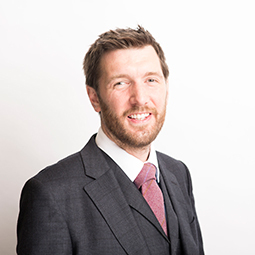 He joined us in 2013 with an MA from Aberdeen University and eight years experience with Redpath Bruce. He is a Member of the Institute of Residential Property Management and an Associate Member of the Royal Institution of Chartered Surveyors. Gavin is a keen curler and also enjoys hillwalking and other outdoors activities.